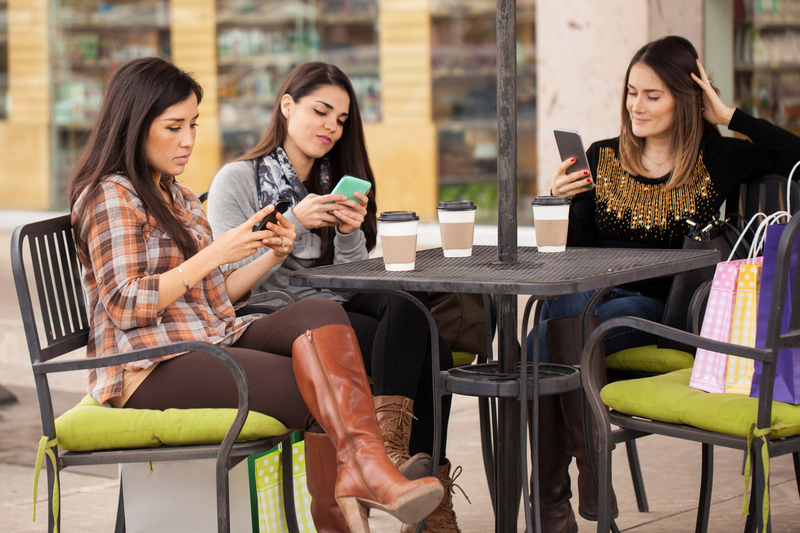 Did you know that 90% of text messages are read within 10 minutes? And if you send a message that falls into that 10%, you’ll be happy to know that on average, people will look at their phones 150 times a day. Text messages to be replied to in real-time or from auto-responders and they’re cost effective. Because of these reasons, difference between the response time of emails or phone calls and text messages is phenomenal. Each person in your organization has the ability to answer just one phone call at once. Depending on the size of your organization, and the amount of customer interaction you’ll get, this may not be viable for you. With two-way text messaging, each staffer can engage in multiple text conversations at once, and they’ll be able to reply to new conversations while the first users take time to reply back. While social media can be a great way to convey messages to your followers, you may not be reaching all of your users among all of the social noise. By texting instead, you’ll be able to send out messages about updates for your organization, new services, and any information you think could be useful to your users and ensure they’ll read it. With certain types of text messaging software, users are able to reply back to you and start a private conversation to get any questions they may want answered. Communication through phone calls can be time consuming, costly and an inefficient way to share electronic data. Users have to write down any information they need, and in the heat of the moment they could easily get information wrong, ask for it to be repeated and grow frustrated. Phone calls have their place, but in many communications all that is required is short, quick information, making text messaging the perfect medium to reach those on-the-move. No matter what service you provide, good communication with users is incredibly important. Great service will determine whether users feel comfortable to come back to you again, and this can be difficult to achieve with phone calls or email. If you have multiple users trying to access your line, waiting times may turn users around, something that can be easily fixed with text messaging. Email can be used to reply quickly to users, but without having an obvious notification, users may not notice they have a reply to the email they’ve sent and the reply times between you and your customer could be hours or even days. With text messaging, you’ll be able to provide a much better experience for your users and hopefully it’ll be one they would be happy to come back to. There are many ways to communicate with your users, but when it comes to reaching them everywhere in the quickest amount of time, nothing beats text messaging. If you host events, conferences or meetings, text messaging is a great way to engage your attendees and increase audience participation. 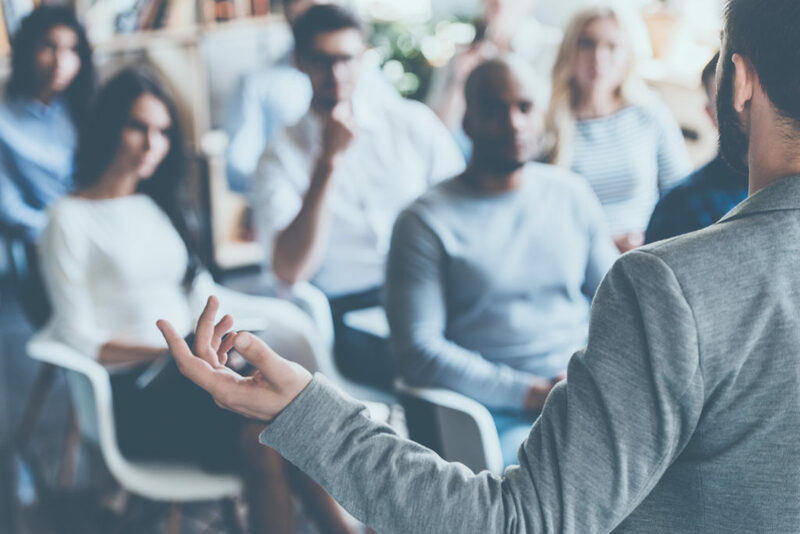 The most successful events are both engaging and interactive, but getting information to and from attendees can be difficult. Alerting everyone of updates and changes in real-time can be next to impossible. And attendees asking questions in sessions via microphones or writing on paper is simply inefficient. With Mosio, organizers can notify and communicate with attendees using their mobile phones. And since text messaging works on 99% of mobile phones, it reaches more people than a mobile app, instantly. How does Mosio boost attendee participation? 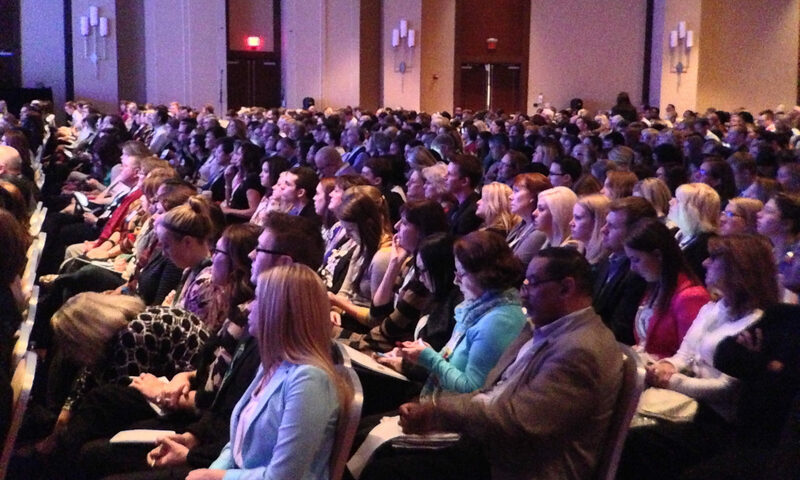 Audience Q&A enables participants to ask questions of speakers and or guest services. Alerts and Announcements allow you to schedule or send real-time updates, reminders and promotions. Text-to-Screen builds engagement by displaying attendee questions and photos on screens and monitors. Software enables global, interactive TextChat messaging between organizations and mobile users for efficient, low-cost communications. SAN FRANCISCO, CA – July 24, 2013 – Mosio, an award-winning mobile software company, announces its True Two-Way Text Messaging solution, TextChat, for interactive conversations between organizations and their mobile users, including customers and staff alike. The easy-to-use, web-based platform enables low-cost communications with users globally in 21 countries. 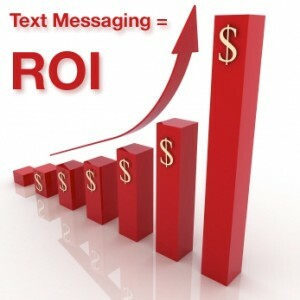 There are many misconceptions about text messaging solutions, not all of which are equal. Some services may technically be considered two-way but do not actually allow for dynamic TextChat exchanges. 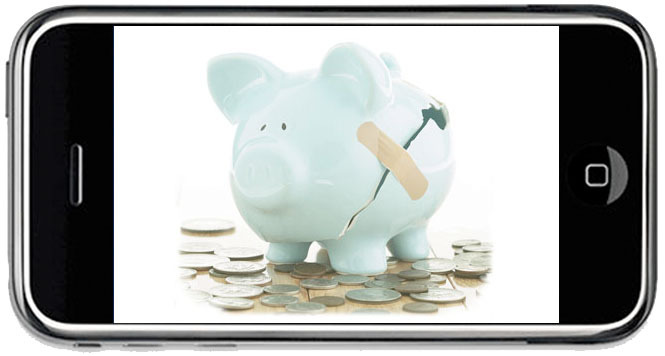 And while some providers claim to offer global coverage, there may be additional fees incurred by the end user for international text messaging. The Mosio dashboard makes it easy to connect and communicate with mobile users. Some of the software’s features include customizable auto-responders, canned response templates and an 800+ term “textspeak” translator for text messaging acronyms. Organizations’ staff can respond to text messages or proactively send messages to customers and employees via one-to-one or subscriber alerts features. Mosio’s software is ideal for customer support, health services, clinical research and workforce communications. Other services include text alerts, reminders, updates and surveys. Organizations can try out the TextChat technology with a free, 14-day trial. Learn more about Mosio’s true two-way text messaging and global reach. 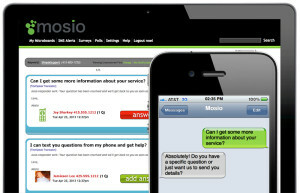 For information on Mosio’s solutions and its multi-channel, web-based dashboard, visit www.mosio.com. 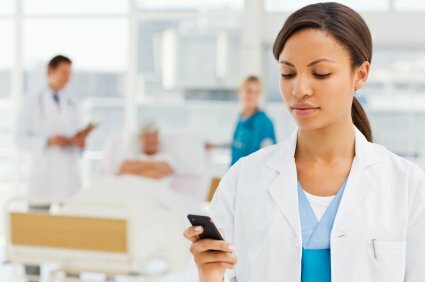 Currently available in 21 countries including the U.S., Canada, UK, Spain, Australia and South Africa, Mosio’s mobile software provides support and feedback solutions to organizations in healthcare, customer service, clinical research, health services, helplines, hospitality, contact centers and events. Headquartered in San Francisco, Mosio’s technologies have served Home Depot, Southwest Airlines, McKesson, Harvard, Enterprise Holdings, American Hospital Association, Disney, State Farm Insurance, Marriott, Kaiser Permanente and the United States Department of Health and Human Services. For information about Mosio, visit www.mosio.com. These features have been live on Mosio for awhile now, but we realized we needed to do a better job of explaining them to users, so here it is! 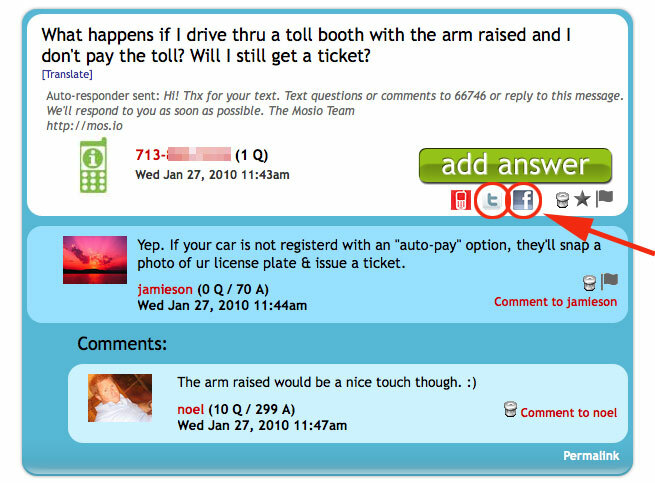 How to Post Questions and Answers to Facebook and Twitter. Social Media + Marketing = Cool! Re-purpose content to drive more usage of your service. Interesting, funny, engaging, witty and awesome questions and comments deserve to be heard and they’re free marketing for your services. Tweet or Facebook em! Big THANKS to the Dev Team for making it super simple to do with the Post to Twitter and Facebook features. After a question has been answered, you click on the Twitter or Facebook Icon. A pop up lets you know it has been copied to your clipboard, ready to post. Your Facebook fan page will open up and all you have to do is paste and edit as needed, then Post! Adding the feature in your Mosio account is easy. 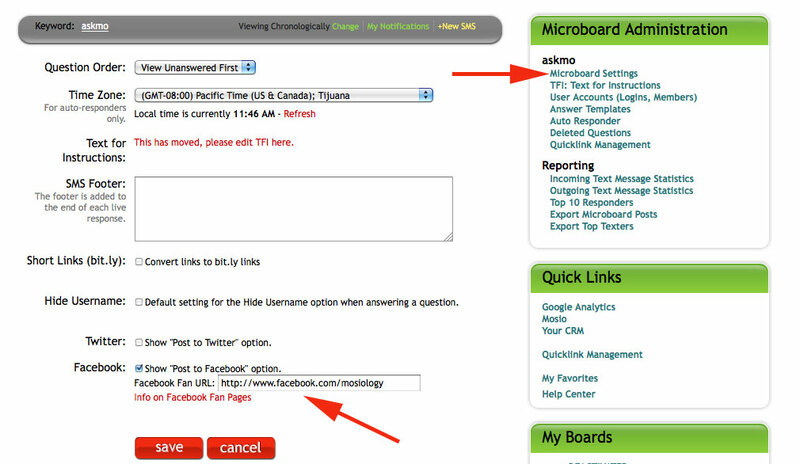 Click on Microboard Settings section in the Administration module. Check the Show “Post to Twitter” or “Post to Facebook” options. The icons will begin showing up on your microboard, ready to post. The tweet will be pre-filled, including your keyword’s hashtag (ex. #asktal) as well as the Mosio short code hashtag (#66746). Edit as necessary. Tweets are indexed by search engines like Google, Bing and now Yahoo and can appear in search results (aka free marketing). Tweeting user-generated content of funny, interesting and helpful questions and answers engages Twitter- following patrons (and their followers through re-tweets) and informs them about your organization or company’s services. We’ve seen great examples of reference trivia and daily fun facts using Twitter. When a patron texts good ideas and positive feedback, spread the love! 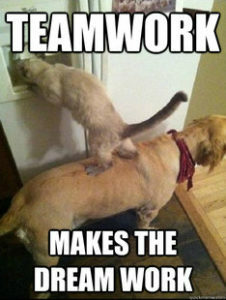 This morning I received an email from a VP of Service (let’s call him Robert) at a company that supplies, installs and supports office technologies with a team of sales reps and service technicians out in the field on client visits. In 300 words or less – please give me the ‘Mosio for Dummies’ explanation of what your product does and how I can get an ROI on paying this amount each month. 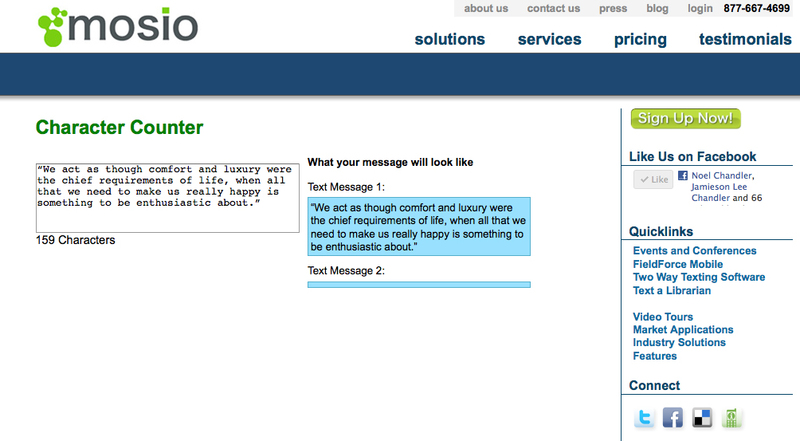 Our customers use Mosio’s FieldForce to exchange text messages with mobile workers from our secure website. These companies, like most, use the phone, email and other communication tools as well, probably like yours, but text messaging enables them to save time over phone calls, leaving, listening to and jotting down info from voicemails when they are giving status updates, asking questions or placing orders. Simply put, it combines the time saving elements of texting (which 73% of mobile users do) with a hosted software solution for managers, dispatch or support in a business communications setting. Our customers are seeing ROI by noticing a huge reduction in the amount of phone calls and “voicemail tag” with their workforce out in the field. Many Mosio clients launch the system to a smaller, test group and then roll it out to everyone after that to see how it goes. I’ve listed two client testimonials below which show anecdotal ROI stories from happy Mosio clients. Noel- you did very well. 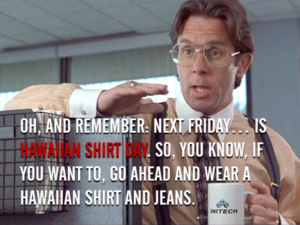 I will forward this on to our Director of IT for his input and let you know if we are interested in further discussion. I appreciated Robert’s challenge as well as his response. We love Directors of IT and anyone else making decisions in technology for their companies, but we designed our software to have the lowest IT footprint possible. Mosio is web-based, secure, uses the text messaging capabilities of any mobile phone with text messages sent or received from any internet connected computer or tablet. ROI is the most important part of any business technology. Whether or not you use Mosio’s FieldForce, using text messaging to communicate with your workforce will absolutely provide you with cost savings over phone calls and voicemail. 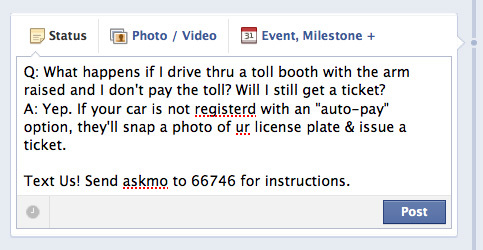 160 Characters: You can fit a lot of info in a text message. We get asked by customers all the time just how much information can be shared via text message. 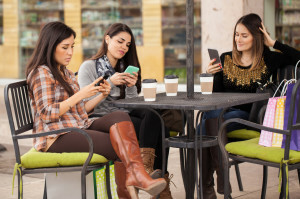 Not surprisingly, many don’t think it is much, even when you consider that people manage to get a lot communicated with their friends, family and co-workers using text messaging. Back in 1984 when SMS was invented, Friedhelm Hillebrand decided on 160 characters because it was the average amount of characters that fit on a typical postcard. 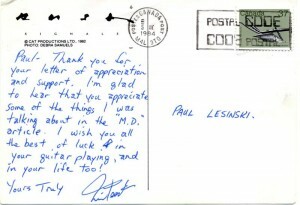 The above postcard (written by Rush drummer Neil Peart in 1984) has 254 characters including his sign off and name, but if you’ve never seen one of Neil Peart’s drum solos, trust me when I say that they are incredible, but also a little longer than your average rock drum solo. That is the average number of characters in an outbound response from our clients to their customers, members, students and employees. The important thing to remember is that ultimately, users understand the medium they’re using. Text messaging is conversational and short, but plenty of information can be shared in a single text message. So what does 160 characters look like? For those Mosio customers who are less like Charles Kingsley and more like Neil Peart in their responses, our system enables you to send longer responses, breaking it up over several text messages when needed. Our software has a built-in character counter for setting up text message alerts and reminders as well as when our clients are responding to their customers, but we often have people asking about the best way to figure out how much information can be sent in a text, so we built and have hosted this text messaging character counter and you’re free to use it as well. Feel free to bookmark it or save it somewhere in case you need it in the future. Internally we have an 800+ term “textspeak” translator that has an SMS acronym dictionary of nearly every possible short phrase texters have come up with. We’re currently speaking with the development team about hosting that outside of our service. If you’re interested in it, contact us, let us know and we’ll pass it along that more folks are looking for it. Working out in the field can be stressful and time consuming. For businesses who depend on the efficiency of technicians to increase revenues, every minute counts. 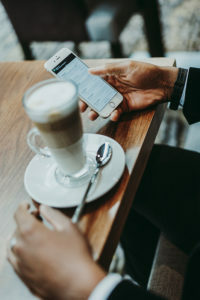 Text messaging offers significant advantages over phone calls when it comes to communicating in the field, including time-shifting (enabling each party to reply when it’s convenient for them), avoiding “voicemail tag” and quick sharing of information with anyone needing to repeat it or write it down. The most important thing for companies to consider when using text messaging is to use a system that makes it efficient for them to receive and respond to text messages from field technicians. There’s no point in your managers/dispatchers to be sitting in the office texting when they can type on a keyboard as well. 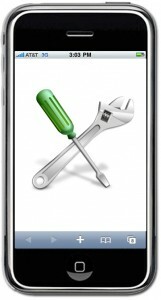 8 great uses of text messaging for communicating with field technicians. 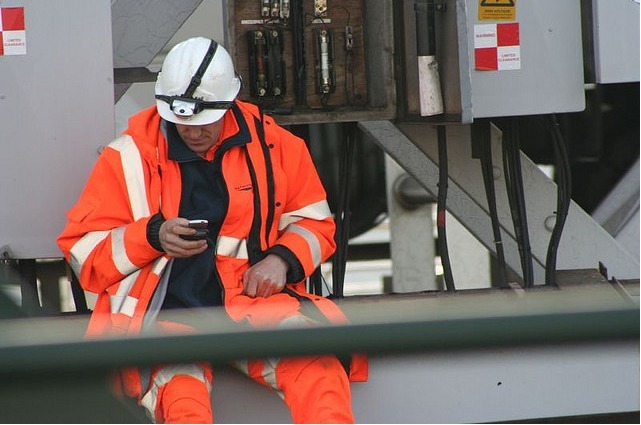 Enabling technicians to report quickly from the field provides managers/dispatch with real-time information about how things are going without hounding or spending any time on the phone. There is no greater opportunity to offer a client new products or services than when you are at their location in front of them. Text messaging lets companies provide their technicians with opportunities to offer specific additional services to customers based on their purchase history or needs. 3. Where’s my next job? It seems simple, but so much time can be saved using text messages to answer this question. 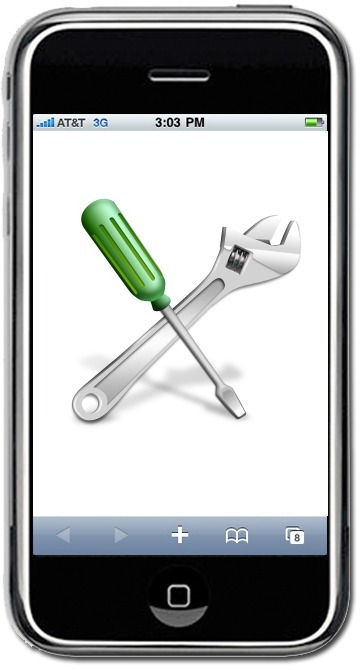 If your company uses text messaging to give status updates, dispatch can proactively send this information so technicians can begin thinking of the next service call as soon as possible. 4. Heads up info about the next service call. No one wants to go into a client situation unprepared. Whether it is letting technicians know about animals, their point of contact or history about the last service call, sending a quick SMS with information about the next job gives them the information they need to succeed. 5. Purchase orders, job orders and cost sharing. Every company does things differently, so there’s no reason to go into specifics, but being able to send/receive information without having to hear it, then write it down is always going to be more efficient and avoid mistakes. 6. Directions, maps and location based information. Sometimes you get lost. It happens. GPS can help, but what about finding a store close to where you are to help you get what you need faster? Along the same lines as #5, anything sent and received by texting is more efficient than writing it down. 7. Efficiently receive and respond to support questions. Anytime technicians are away from headquarters they are at a disadvantage. They don’t have all of the information, don’t have face-to-face access to project managers or sales people who sold the job. Being able to text in a quick question, continue working, then get an answer saves the company time and gives the technician the support they need to get the job done quickly and correctly. In a perfect world everything technicians needed for a job would be in a warehouse on wheels. Until that happens, the faster they can communicate parts needed, the quicker those parts can be ordered and sent. If you have any other uses you’re seeing out in the field, please feel free to post them in the comments. Looking to Improve QR Codes in Advertising? Use Text Messaging. Google is no longer using QR Codes. 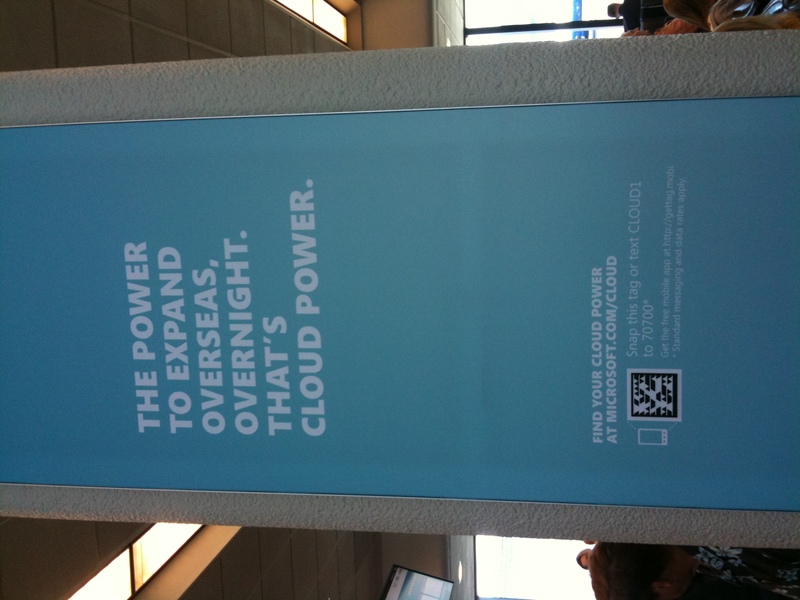 I saw an ad in the San Francisco airport last week (photos below) and it was perfectly placed. 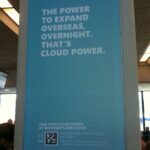 I was waiting to get on the plane, looked over and saw the advertisement and I read it. Being curious about the unusual QR code I saw and curious if my code scanner would be able to read it, I tried. It didn’t work. There was a link to where I could get the reader so I could scan the code on the ad. Huh? 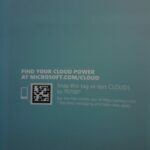 Was Microsoft trying to sell me on cloud services or a code scanner? 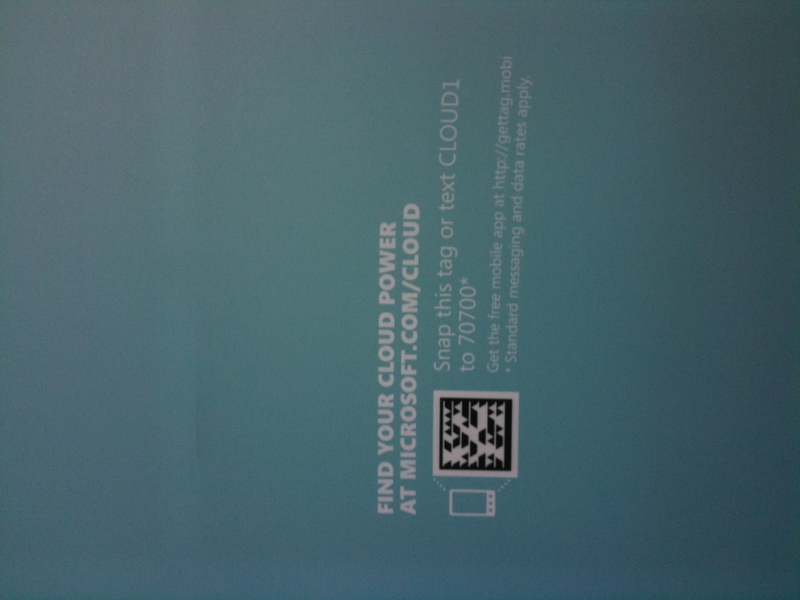 A friend in line told me that the code on the advertisement was actually Microsoft’s technology. So the answer to my question about what Microsoft is trying to sell me is “both.” Ok, but what if you’re just a brand trying to get customers to take action regarding your product or service? Does it benefit you to distract them from your messaging to download a new technology so they can communicate with you? Whoever executed this campaign for Microsoft did something very smart: They added a text messaging call to action with a keyword and short code. Why? Because they wanted to make the mobile extension of their campaign available to everyone with a mobile phone. 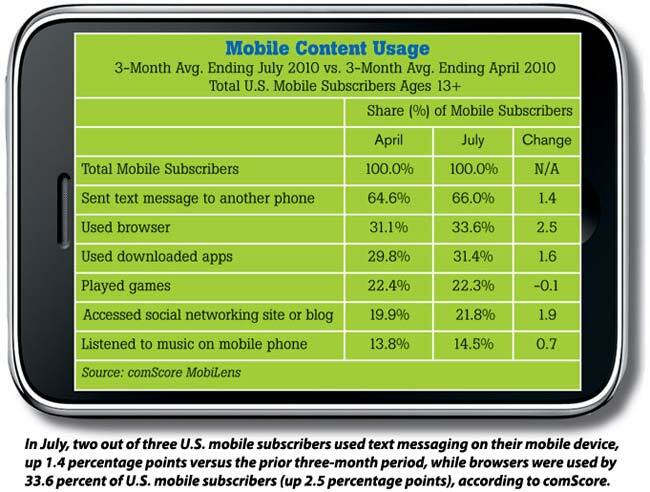 99% of all mobile phones are text messaging enabled. Those that aren’t most definitely cannot scan a QR code. It’s 2017 and while many of the original statistics posted below pale in comparison to the data of today (we’re due for a new post), we’re constantly surprised at how new the SMS channel still is in many industries. 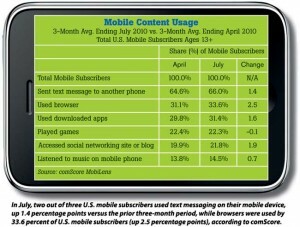 We now get asked more about statistics and research showing the text message and mobile usage of older demographics. We got a lot of great feedback from a blog post we did awhile back with text messaging and mobile facts and figures, so we put together another list of stats, facts and figures we found. Bottom line, adding text messaging to your business communications, whether it be with customers, employees, independent contractors, etc makes you more competitive. Adding text messaging opens up a new, easy to use communication channel that helps cut through the clutter, costs and time associated with other forms of communication, like talking on the phone. 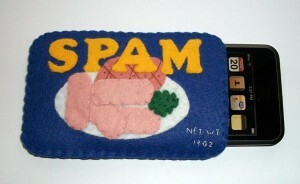 Plus, it’s the preferred method of communication by most mobile consumers. We’re not saying don’t talk on the phone anymore, but if you have a faster, more efficient, cost-effective way to communicate, we think it warrants serious consideration. Here are some bits of info for you and if you’re interested in speaking about your communication goals and how text messaging can provide you with a return on your investment, contact Mosio here. – New study from IHL Group and RetailConnections. There you go, enough stats to shake a phone at. If you’re looking for text messaging solutions like live voting, live polls, or SMS surveys, contact us. We’re happy to help. 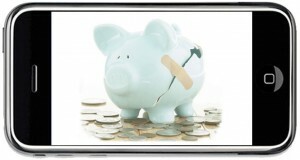 How much does it cost to develop an iPhone apps? Hint: It’s more than most people think. “It only takes 5 1/2 hours to drive from San Francisco to Los Angeles.” I can’t even count the number of times I’ve heard people say this and I believe I even said it once myself. “Well, without traffic or cops and with minimal stops.” Huh? When is there no traffic in San Francisco or Los Angeles? The truth is, it really depends on where in LA you’re going, but I’d argue most destinations are beyond the 5.5 hour mark. I was reminded of this SF > LA drive-time claim when a colleague sent me a stack overflow thread today entitled “How much does it cost to develop iPhone applications?” It’s worth taking a look at, most interesting is an answer suggesting around $10,000 ($50/hr for a Developer and $50/hr for a Graphic Designer x 200 total hours), which the stack overflow community quickly jumped on, providing insight and information to back up a more realistic $50k-100k (and some say $200k) price tag. Why, then, do people think it’s so inexpensive to develop iPhone apps? I’m not exactly sure, but my guess is that it’s a combination of people wanting to believe it costs less (much like we don’t want to believe it actually takes 6.5-7 hours to drive to LA) combined with the misinformation from people selling shoddy development services or app workarounds trying to capitalize on the hype. And before those of you developing “affordable” iPhone applications start flaming me in the comments, consider the fact that by saying it’s inexpensive and cheap, you’re essentially selling yourselves short, commoditizing your expertise. The misinformation hurts your skills and service. And for those who claim a drive from San Francisco to LA is 5 1/2 hours? They’re simply remembering it better than it truly is, or convincing themselves that it’s quicker than it really is. It’s more beneficial psychologically to believe it, but it doesn’t make it the truth in practice.